We're halfway through December and it's time to get organised for 2018! I love this time of year and am naturally an organised person so love making lists of goals for the New Year and putting important dates in my 2018 diary. 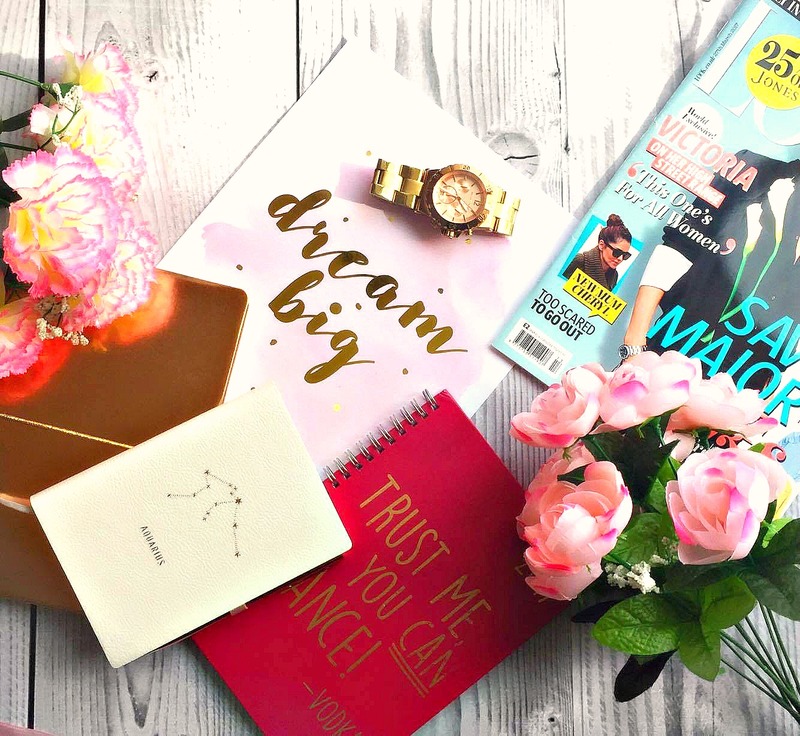 I always have a new found motivation towards the end of the year as I get myself in the mindset for a New Year, New Start and so today I thought I'd share with you how I'm getting organised for 2018. I love nothing more than getting a new 2018 diary and adding in all my important dates. I always enjoy spending time with my family and friends so getting dates in the diary to see them is my number one thing on the to do list. Don't get me wrong, I don't like cleaning and tidying all the time, but when I'm in the right mindset I love it. Jay and I are spending Christmas with his family this year and then we're off to Liverpool for New Years so this weekend we're dedicating it to having a winter clean. I hate nothing more than coming home after being a way for a while to a place that's untidy so it's important for us to make it squeaky clean to help put us in a good mindset for the New Year. When I look back on the past year and my blog's success, I notice that my views peaked significantly when I started to plan my posts in advance. Being in the Events Industry, I understand how important planning ahead is and therefore believe this is vital to the success of my blog too. In order to plan my posts I like to keep my personalised notebook with my at all times. My boyfriend got me one a couple of years ago and I love it. I always jot down ideas when they come to mind, make lists of outstanding tasks for each post (for example which photos I need to take) and plan which posts I want to promote via my social media sites. I think my favourite task when it comes to getting organised for the New Year ahead is setting goals. I did this last year and I've succeeded in pretty much all of mine from last year so I'm determined to follow this again. I will be sharing my goals with you all soon but I've got some exciting plans for the New Year and my goals relate to those! Lastly but probably the key ingredient to being organised is getting in the right mindset. My favourite thing to do that helps me get focused is take some time for myself. I am SO excited to finish work and spend some time with my favourite people; relaxing, laughing and drinking lots of fizz. Once I'm back and raring to go I'll have a clearer mind and will be ready to get going. How are you getting organised for 2018?